People who are interested about prize bond lottery may find this news more interesting as 79th Prize Bond Draw Result is about to publish within few days. 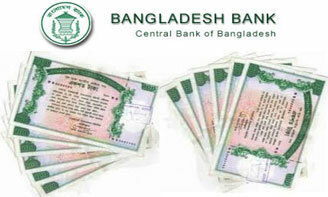 Bangladesh Bank is the authorized institution who will monitor the whole proceedings of Bangladesh Bank 79th Prize Bond Draw Result. As per as our concern, 79th Prize Bond Draw Result will come to light on April 30, 2015. More news related to Prize Bond Draw Result and prize has been provided below. Interested people can have a look to find out the desired information. In 79th Prize Bond Lottery tickets was of 100 taka. Usually, this lottery is such kind of occurrence which takes place in every three months of a year. These lotteries usually avails in three month long time and the Prize Bond draw result is generally published in the last day of month January, April, July and October. As it is the last of April, so this is the time of getting the second Prize Bond draw lottery result for this year. How to get 79th Prize Bond Lottery Result? The result will most probably publish in PDF file and interested people can download the file. In a 100 tk prize bond there are total 39 series. Each series has same prizes including 1st, 2nd, 3rd, 4th and 5th. Individual who would buy a prize bond will be eligible for the prize after 2 months. This means if someone buy a prize bond now will be eligible for the prize 2 month later. Individual wins a prize have to collect the money within two years. It is to remind that 20% of the money will be deducted as tax. Here are details of the prize list. Prize 1: Each series winner will get Tk 6 lakh as the first prize. Prize 2: The person who will win the second prize will bag Tk 3.5 lakh. Prize 3: There are two prizes for the third prize. Each of the winners will bag Tk 1 lakh. Prize 4: Two prizes will also be given as 4th Each winner will get Tk 50,000. Prize 5: A total of 40 prizes are given as 5th Each of the winner will bag Tk 10,000.